Sitting down to work without a clear idea if your goals for the week, day or even the next hour can slow and even halt your productivity so that actually you get less than half the work done that you needed to do. I've got the answer to that problem and it's planning. See how I plan my whole working week to increase productivity and enjoy tips so you can too! You’ve been told that in order for your business to really start growing you need to outsource, but how do you know when your business is at the stage when you need to outsource? I’ve answered this question and share with you 5 Key Signs that you need to look out for. Are you ready to outsource? Are you ready to grow and scale your business, but you just don’t have the time? 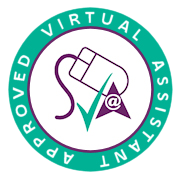 A Virtual Assistant could be the answer to all your prayers! Let me show you exactly how a Virtual Assistant can help your business AND increase your productivity 10x. As a busy entrepreneur it’s not always easy to stay on top of everything that you have to do on a weekly and daily basis, which is why it is so important to manage your diary correctly! Without managing your diary in the right way your days can feel chaotic, but they don’t need to be like this. Check out my 5 Diary Management Hacks for Busy Entrepreneurs and take control of your time again. Could a Virtual Assistant be the missing piece of the puzzle for growing and scaling your business in 2019? It’s not easy to find the perfect Virtual Assistant for you and your business, that’s why I want to share with you my simple 5 step guide on how you can find the perfect Virtual Assistant. With this guide you’ll be able to find the right person to take care of the tasks that used to consume your time so that you can focus all of your attention of the tasks that you love! Do you have a list of daily rituals that you follow every day to try and improve the quality of your life and business? If not, now is the best time to begin just as we head into the new year! Check out my list of some of the daily rituals that successful entrepreneurs and business owners swear by. Check out my list of the top 5 most inspirational books that every business owner and entrepreneur should have a copy of if you want to grow your business. The list covers topics from influencing others to growing a social media presence and much more. Running your own business can be very stressful and time consuming, sometimes so much that the fruits almost don’t seem worth the labour. This is why having a winning routine is so important. It's the key to growing your business whilst unlocking more time. Read about what your routine needs to include in order for your business to grow. There is nothing worse than when you are really busy and trying to get through your to-do list, than emails popping up in your inbox and constantly distracting you. Emails are a huge distraction, so getting control of your inbox is essential! Let me show you exactly how you can do this so that you can start reclaiming your time today. Imagine having a system in place that meant you never missed a task again, and you could easily check your diary to see what task needs to be completed next. Imagine no more, review my step by step guide on how you can effectively prioritise your tasks.